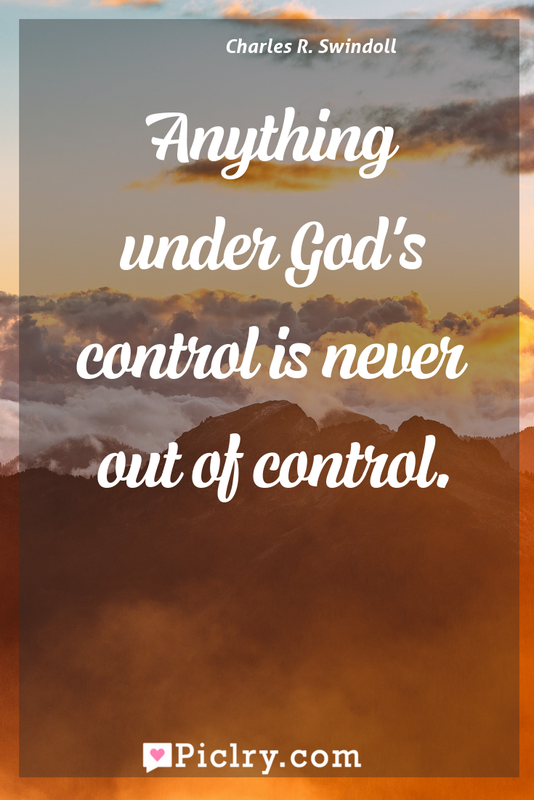 Meaning of Anything under God's control is never out of control. Meaning of Anything under God’s control is never out of control. Quote by Charles R. Swindoll.